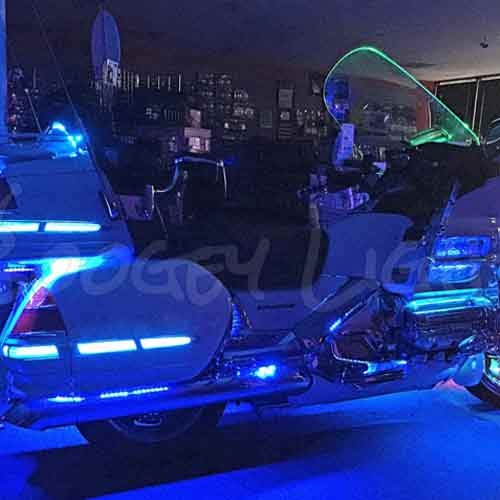 Since 1989 we’ve been lighting big V-Twin engines, both Harley and metric, plus Gold Wings, sport bikes and choppers using lighting products that meet our exacting standards. Today, we offer only the best motorcycle LED lights and LED motorsports lighting available anywhere, at any price. 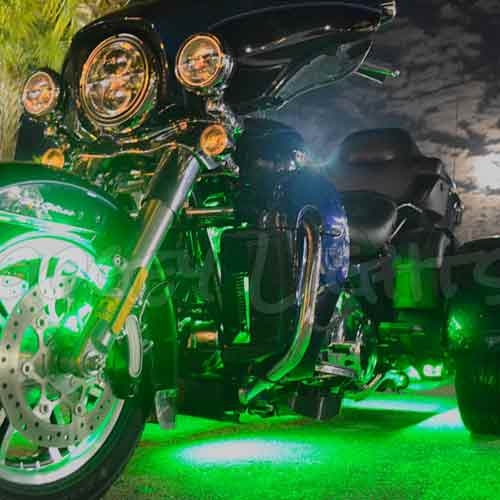 Motorcycle LED and motorsports lighting is a full-time venture for us. We sell only genuine Boogey Lights® and accessories. Our innovative products and installation techniques give your ride an awesome new look at a great price. 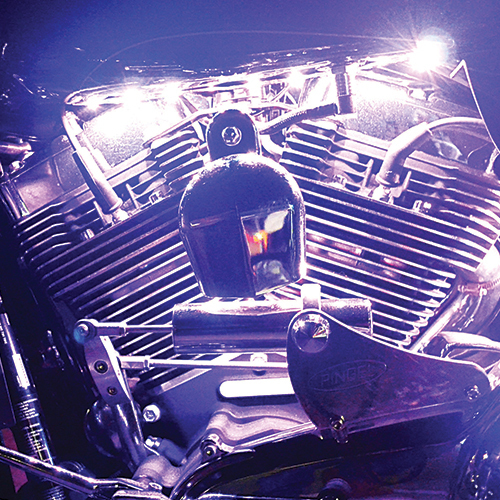 All of our motorcycle LED kits come complete with everything you need to light up your ride! And if you want to customize any of these LED KITs, we can do that too! 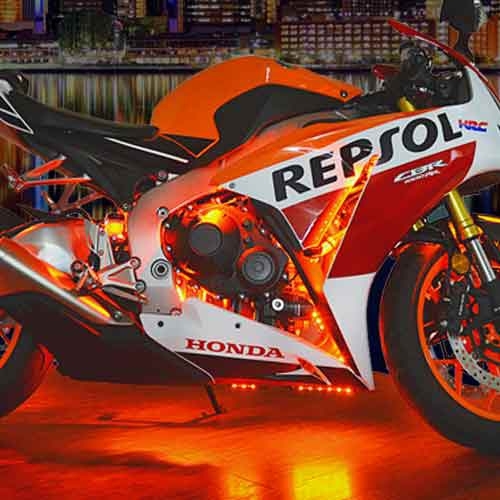 All of our Motorcycle LED kits can be customized to fit your specific need. Simply use the drop-down box on each of our kits to adjust the quantity and components for each kit. If you're unsure as to what to purchase for your ride, complete our Lighting Suggestion form and we'll get back to you with some ideas based on your bike. And if you need professional installation assistance, our national network of dealers is available to assist as well.